Looks Like a good deal to me. Only one 20" frame left at 7am, and two 18" frame. WHERE can you get a decent bike for £750? This bike is much, much better than the horrible £60 ones that have been on here of late. However at this price it is dangerously close to the price of an entry level model from a proper bike company rather than a company who are famous for making shoes. This bike is much, much better than the horrible £60 ones that have been … This bike is much, much better than the horrible £60 ones that have been on here of late.However at this price it is dangerously close to the price of an entry level model from a proper bike company rather than a company who are famous for making shoes. Agree, this is something you would expect to last more than a week but realistically you'd have to go nearer to £200 for an entry-level decent brand. 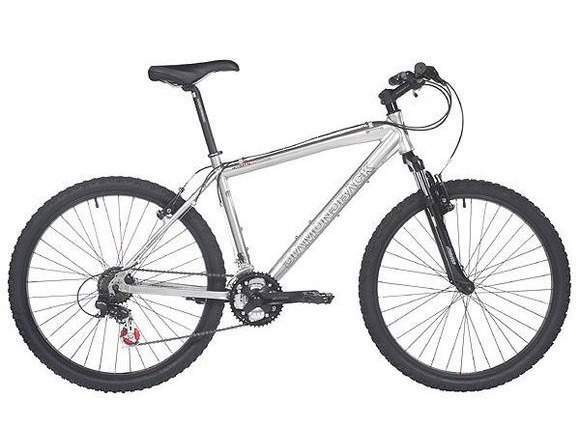 Chain reaction do have a 2009 GT for £179 which I'd expect to get streets ahead of this Reebok. Here is a selection of entry level bikes from mainstream manufacturers. I beleive these are a better bet to get into cycling. I got into it on a £220 GT 10 years ago. Before that I'd owned a few Toy's R us bikes etc and found it unenjoyable and hard going. While by no means perfect these bike will be lighter and longer lasting than cheapy ones. Most are last years model's so reduced down to nearer the OP's original post. I'm one of those people who always criticise cheap bikes and all I'm gonna say is that if I was gonna buy a sub-£200 death trap I'd choose this death trap. by zooming into the picture it appears the rear gears are shimano tourney, which are entry level gears but no reason they won't work. The wheels and tyres are unbranded. When my sister bought a budget bike her wheels were shaped like pringles which is one of the reasons I hate cheap bikes. Don't know much about the disc break but if (when) it fails instead of getting it repaired get a set of cheap V brakes instead. this bike should be okay for casual cyclists who don't intend to bomb around off road too much, if you plan on cycling every day spend a bit more and getting something with brand-name, reliable parts. P.S. I'd rather have any of the bikes in Golaboots888's post too. Good post from Golaboots888 - one of these would be better. The Saracen looks like a decent buy. Good post from Golaboots888 - one of these would be better. The Saracen … Good post from Golaboots888 - one of these would be better. The Saracen looks like a decent buy. There's an elegance about the saracen. Never thought I'd hear myself say that.